From market consolidation to global expansions, the quarter saw a range of interesting deals. The first quarter of 2019 started off strong with 17 digital health mergers and acquisitions, including five over the course of two days at the end of February. The quarter's acquisitions included moves by ClassPass and Teladoc to bolster emerging international businesses with the acquisitions of GuavaPass and Médecin Direct, respectively, as well as a number of consolidation deals in niche digital health markets, such as AbleTo's acquisition of Joyable. Still others represented novel synergies between similar but distinct companies, like Crossover Health's purchase of Sherpaa. Finally, we saw another major private equity deal as Qualcomm divested itself of its Qualcomm Life business. Read on for 17 digital health mergers and acquisitions from Q1 2019. And let us know if we missed one — we'll update this article. As usual, they're ordered first by price tag, with the undisclosed deals sorted chronologically. Remote patient monitoring company BioTelemetry announced in January plans to acquire startup Geneva Healthcare, maker of remote monitoring for implantable cardiac devices, for $45 million in upfront cash with additional performance-based earn-out considerations of no less than $20 million. 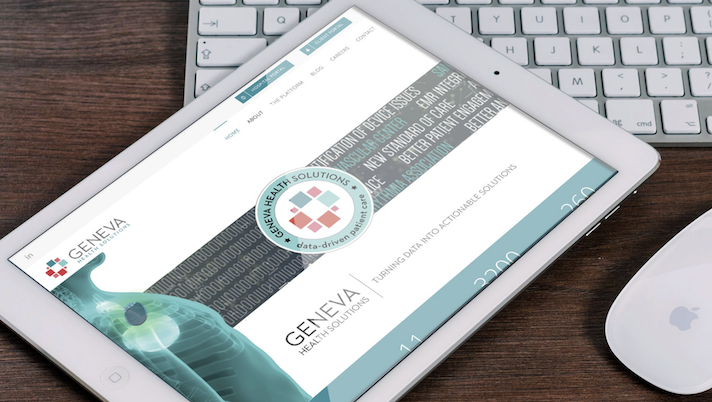 Biotelemetry will gain access to Geneva’s cloud-based platform, which has the ability to aggregate data from device manufacturer systems. This gives physicians a platform to remotely keep track all of their patients that have implantable cardiac devices such as pacemakers, defibrillators and loop recorders, while also providing the doctors with the results of routine checks and monitoring. New York-based startup AbleTo acquired fellow virtual mental health startup Joyable for an undisclosed sum in the tens of millions. As part of the deal, AbleTo users will gain access Joyable’s mental health coaching app. AbleTo connects it users with a nationwide network of behavioral health providers, who use the company’s structured treatment protocols to treat the user’s condition. Currently it has 600 therapists and coaches in its network. The companies said that by combining its products, it will be able to expand its services. Online fitness membership platform ClassPass acquired GuavaPass, a similar competing service active in Asia and the Middle East, for $4.2 million. Along with ClassPass assuming control of GuavaPass’s operations, GuavaPass CEO Jeffrey Liu, President Rob Pachter and a number of GuavaPass employees will be joining ClassPass. Both services allow users to pay a single subscription price for access to local classes for yoga, cycling, Pilates and other workouts using a mobile app. Medical messaging company Medici announced the acquisition of Chiron Health, an Austin-based telehealth company. Medici is a medical communication tool that lets patients communicate with multiple providers. The system was designed so that a user could not only have his or her providers on the system but also their loved ones physicians, for example their child’s pediatricians. This new acquisition will give Medici access to Chiron Health’s platform, which was designed to facilitate provider-patient video visits. Those visits can be uploaded to five compatible EHR systems. The HIPAA compliant system caters to physician-run practices. The plan is to integrate Chiron’s capabilities, as well as its full team into Medici’s current system. Clinical information tool EBSCO Health announced the acquisition of HealthDecision, a clinical decision support and shared decision making tool for clinicians and patients. As part of the deal EBSCO Health will get HealthDecision’s educational resources, which includes a visual representation of medical outcomes. The tools were designed to help facilitate provider-patient conversations around treatment plans. Private equity firm Francisco Partners acquired Qualcomm Life, the Qualcomm subsidiary focused on medical device connectivity. The terms of the acquisition were not disclosed. Qualcomm Life will spin out as a new company under the name Capsule Technologies — the name of a clinical data management company that Qualcomm acquired in 2015. The new Capsule Technologies will continue to use the Capsule and 2net brands for its medical device connectivity offerings. “FP’s acquisition will help Qualcomm Life (now CapsuleTech) continue to deliver market leading products and services to its world class customer base,” Rick Valencia, former president of Qualcomm Life, said in a statement. Crossover Health, which provides medical services to large employers, Apple and Facebook among them, acquired Sherpaa, an asynchronous telehealth company that has also mostly focused on serving employer populations. The terms of the deal were not disclosed, but Sherpaa founder Dr. Jay Parkinson and his team will all become part of Crossover Health. For Crossover Health, founded in 2010, the move to buy Sherpaa is an effort to address the changing nature of workforces, which are rarely anymore concentrated in one or even a handful of cities. With Sherpaa’s technology, Crossover Health will be able to offer a tiered system that provides in-person care to employees at a central site and comparable virtual care to remote employees. CareLinx, a digital health company focused on in-home care, acquired Optimal Aging, a fledgling startup still being incubated at Providence St. Joseph Health. The terms of the deal were not disclosed. Optimal Aging is a program that coordinates non-clinical services like home care, transportation and meal support for accountable care organizations and Medicare Advantage Plans. The program actually incorporates CareLinx’s technology, and has since its Seattle-area launch in 2016. Guidewell Connect, a consumer engagement company that shares a parent company (Guidewell) with health insurer Florida Blue, acquired Onlife Health, a health and wellness technology platform, from Blue Cross Blue Shield of Tennessee and Cambia Health Solutions. The terms of the deal were not disclosed. Onlife offers member engagement services that include wellness and chronic condition management programs, via both its My Journey app and other non-digital modalities. Post-acquisition, Onlife will be available to health plan and employer clients in 19 states, according to a statement from the companies. Guidewell intends to keep Onlife’s management intact. It will become a subsidiary of Guidewell Connect. Healthcare software and services company WellSky (previously known as Mediware) announced yesterday the acquisition of Health Care Software (HCS), which specializes in clinical and financial software for long-term care settings. The terms of the deal were not disclosed. Although HCS will keep its New Jersey office and continue operations, the company will gradually transition into the WellSky brand. According to WellSky, the acquisition provides the company with new analytics and care management tools, which will allow it to pursue new market opportunities as well as increase its offerings for existing clients. Interoperable health IT company Medsphere Systems Corporation announced that it is set to acquire Wellsoft, a company that specializes in ED information systems. As part of the deal Medsphere will be acquiring Wellsoft’s signature product, the Emergency Department Information Systems (EDIS), which is targeted at improving workflow in EDs and urgent care centers. Medsphere plans to create a comprehensive platform for urgent care centers that will employ the technology from Wellsoft as well as Medsphere’s RCM Cloud revenue cycle suite. Senior-focused EHR and health software company PointClickCare Technologies acquired post-acute care management company QuickMar. As part of the deal, PointClickCare will control QuickMar’s signature product, the CareSuite Manager. The system includes an EHR and electronic medication administration record (eMAR) that is targeted at post-acute care centers. The system has the ability to manage assessments, care plans, resident billing, behavioral management and charting notes. Zoll Medical Corporation, the medical device and software company that makes the LifeVest wearable defibrillator acquired patient charting and revenue cycle management company Golden Hour. The companies, which both offer charting and services related to the emergency medical services market, will now be able to combine their efforts. Zoll Medical has so far focused on working with larger operations, while Golden Hour has focused on a smaller organization. This acquisition will give the former the opportunity to work with EMS agencies of all sizes. Earlier in the quarter, Zoll also acquired Payor Logic a patient receivable and insurance discovery company for providers. Both deals had undisclosed terms. MédecinDirect will become the French office of Teladoc, which now operates in the UK, Australia, Canada, Spain, Portugal, Hungary, China, Chile and Brazil in addition to the United States. What MédecinDirect offers Teladoc Health is a large existing client base that will give the company a comfortable foothold in a new country. Existing MédecinDirect customers will gain access to the full range of Teladoc services.